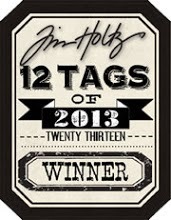 Well another month and another wonderful tag offering from the one and only Tim Holtz. All the details of his tag and how to make it can be found here, so I will not go through the steps and he does it so much better! I stayed fairly true to Tim's tag only changing some of the colours and adding different embellishments. And also some chit chat stickers.. I want to say a huge thank you to everyone who stops by and leaves a comment, it means a lot...think the chest infection is finally being shaken off so normal visiting service will be resumed shortly! 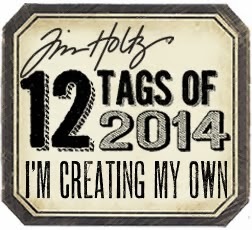 I am linking this up to Tim's tags for 2014 . 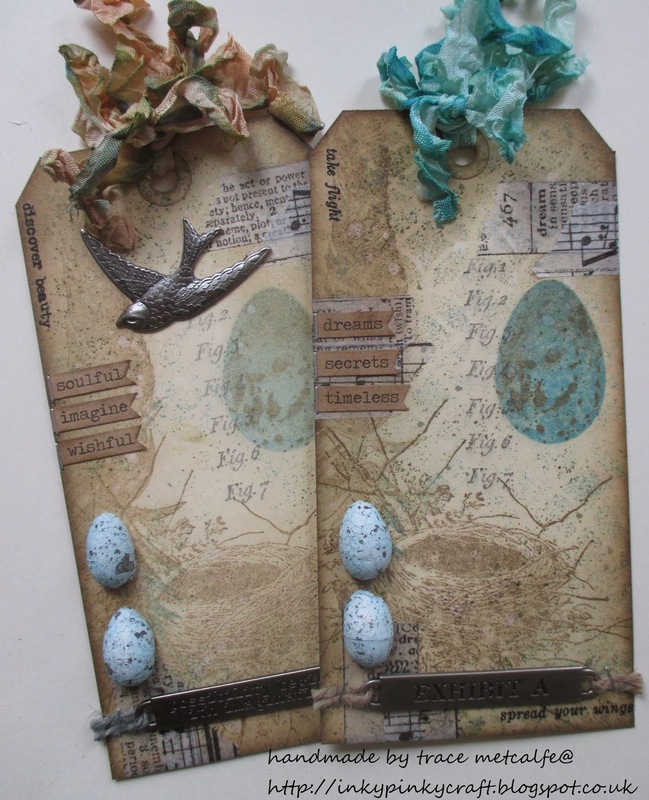 Love the soft look to these tags - great effect with the speckled eggs too. Hope you feel really better soon. Beautiful Trace with just the right colours and images. Totally brilliant Trace!!! Love your version, both the first and the second impression! The addition of the eggs and the chit chat stickers really makes this one stick out from the crowd, they are just gorgeous!!! Beautiful tags. I love you addition of the chit chat words and the mini eggs. Beautiful tags, love the soft colours. Fabulous take in Tim's tag. Love the little eggs. So soft and pretty, Trace! Those eggs are a great embellishment. 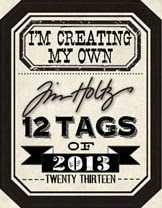 Love your take on Tim's tag! Happy Weekend, Hugs! Your tags are stunning Trace and I adore the softer look too....great technique. Glad to hear your health is improving. I like all your personalizations a lot! Think this is my inspiration for some birthday cards, esp. for some men on my list - love this nature theme. Love the eggs and metal bird! Great take! So Spring! Delightful rags Trace and such gorgeous colours. A fabulous take on Tim's March tags. Glad you are feeling better. Both tags are wonderful Trace, I love the little eggs - very cute. Glad you're beginning to feel better. Take care of yourself & have a lovely weekend. Dont know how I didnt stop here and leave a comment before! These are so beautiful - the eggs are fabulous. 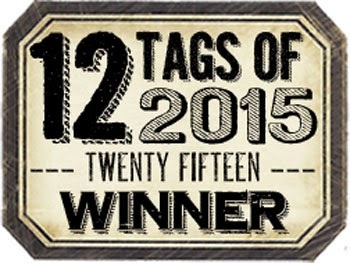 I think you are a right - the shadow stamped tag is all beautiful and dreamy and perfect. Beautiful tags Trace! The stamped backgrounds look fantastic! Love the speckled eggs! Beautiful, Trace - love those half eggs, and the gorgeous colour palette - and the chitchat stickers are a great addition - fabulous take on the March tags! So glad you're feeling better... I'm running behind, but through sheer busy-ness rather than illness, happily! Hi I am Trace wife to my best friend and mum to 3 beautiful children, who make my life full. 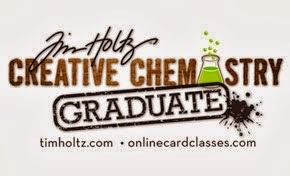 I love all things distress and have found much inspiration in Vintage, distress and steampunk styles.I am very inspired by Tim Holtz and love his products. 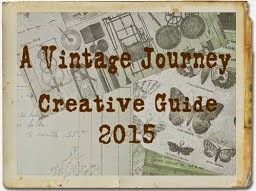 my style seems to evolve and i am loving the journey ! I love playing with textures and anything inky!! 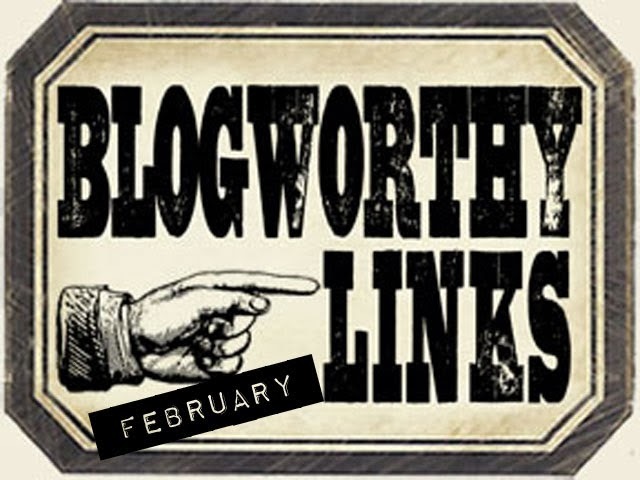 Please note: all artwork, photographs and blog posts are copyrighted and the intellectual property of the artist (ie: me) with all rights reserved, and therefore may not be used or reproduced in any way without my permission . In other words, if you want to copy or use something, please ask! 12 Tags of 2016 (well sorta....) inspired by ol' Tim's tag anyway~! Copy and paste all the code in the box below into an html widget - and don't forget to click 'Shrink to Fit'! Make this journey your own.